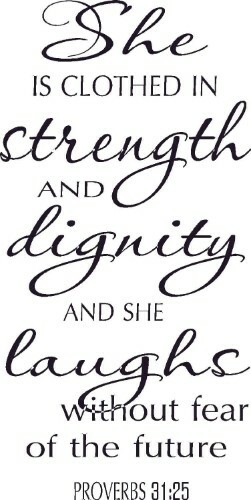 She is clothed in strength and dignity and she laughs with no fear of the future. 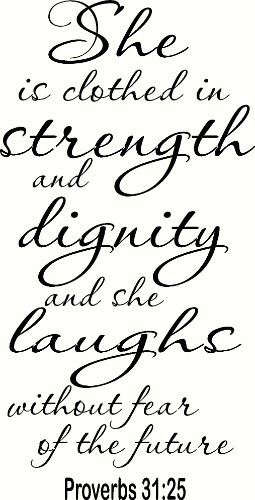 This is our original Proverbs 31:25 Wall Decal. It has been one of our best-selling wall decals for nearly 8 years now – our All-Time Best Seller! 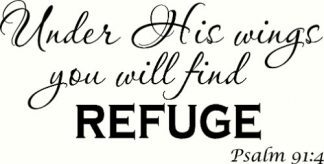 If you don’t already have this verse on your walls, get it now. We constantly hear from customers about how much it has meant for them to have this wall decal placed in their homes. Building self-esteem and character, this wall decal makes a great addition to any room in your house. 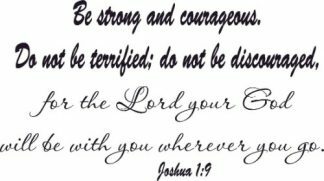 Equally valuable to a woman with a corporate career or to a young lady trying to figure out her place in this world, this scripture is a daily must-read. 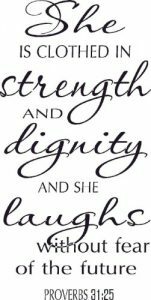 Make sure your home displays this cornerstone wall Scripture – Proverbs 31:25 Wall Decor. This vinyl wall decal is extremely easy to apply and will be a focal point in your home for decades.